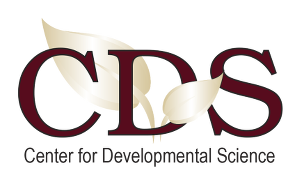 Welcome to Florida State University's Center for Developmental Science website! The Center for Developmental Science is a collaboration of developmental psychology professors and their staff and students. Together we investigate how infants and children perceive, understand, learn and behave in the world around them. Our studies are funded by the Florida State University, The National Institute of Child Health and Development, and the Institute for Educational Sciences. We explore topics such as how children acquire language, what social and cognitive factors influence how children learn mathematics, how reading skills develop, and identifying ways to improve ADHD behavioral treatment.